Well the best of luck to you,did you know we have been working on the same model but done in brass with fly wheel Dcc for release after the DD,some time Dec? Murrayec, that is truly a fine model. The only comment I would make is that fully transparent windows would really make it amazing. Had a look at your website Eoin, one question –what type of glazing will you be using? I'm not really surprised that the €400 price shocks people. With all due respect and I am being honest here and not trying to be hurtful but, there seems to be a lot of printed detail on the models and very little 3 dimensional parts. The windows not being transparent glazing makes it look a Little toy like as there seems to be no interior. 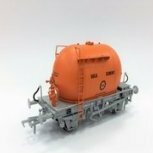 I've seen a lot of model railway products in several different gauges over the years hand built by some fine modellers, but never anything that expensive and lacking so many separate details. The cost of buying or building over head catenary for an EMU layout would make a four car set seem very expensive. As an example the 2600 DMU's released last year which were, researched, computer drawn, assembled, glazed, decaled and painted seem more reasonable price wise. I think it wouldn't be a bad idea to go back to the drawing board and rework some details, or lower prices to substantially reach a wider customer base. Most of us will be buying the 071-111 models when they are released and those models are the standard that punters expect these days of economic uncertainty. I congratulate you on attempting to bring something new to the market but i think you need to sit down and have a rethink regarding the price. I think Rich hits the nail on the head here. Well done for having a go, but I can't see anyone will pay 400 euro for something that has printed detail and no glazing, especially in these times. If I was forking out 400 quid for something it would be either brass or O gauge. I hope it goes well for you, but maybe look at alternative methods of construction, such as those employed by the 2600 railcars to see if you can do something better for less. My opinion would be similar to the two previous posts. I have to agree with you 100% Rich there is no way that model is worth 400euro for printed detail more like 40euro. I would be more interested in DK's forthcoming brass version. I think if it were sitting on a layout with the like of Murphy/MIR/SSM and DK models it would just look so out of place and lacking in 3D detail. It looks more cheap toy like and definitely not 400euro. I seen one of these recently at the show in Dun Laoghaire and I didn't like the look of it due to the printed detail but I need to sit down now and reach for my tablets as I can't believe it has that sort of price tag on it. If it were a hell of a lot cheaper I would say yes but at that sort of money I think you have just shot yourself in both feet. On the positive side, the bogies, underframe, pantograph and couplings look good. But for laser printed bodies, I'd expect to pay maybe 50-100 on top of the base cost of the donor? I'd expect to pay maybe 50-100 on top of the base cost of the donor? Still way to mush for printed plastic Stephen. Modelling has come a long way when it comes to detail when you look at what is out there and I'm sorry to say that this model just ain't coming up to the standard of the price that is been asked for. Murrayec needs to have a good rethink the days of producing models like this and commanding a price tag like he is looking for are long gone when you consider that his price is in around that of DK's railcar which is head and shoulders above it and is worth the money for the detail you get. I hope Murrayec don't take the comments the wrong way but when you come on a site like this and ask guys who are used to a high level of detail and don't thing twice about looking for ways to improve on even the likes of PM's models you can not expect to pull the wool over their eyes with detail and more importantly pricing. It just wouldn't sit right with any Murphy's Models equipment no matter what the price. Agree with most people. bogies look well.. pantographs look well. but the rest... just not quite it. Have to agree with what the lads have said, i'm really looking for a Dart for my layout but i rather have a respray of something into Dart livery even if its not the exact model than have entirely printed model. It looks very toy'ish to me, and lacks 3d detail, i just don't think it would look well beside super detailed MM's. I though the 400e was a typo ( seriously ). When you look at the detail on DK's creations there is just no comparison. I'm sorry if i sound harsh and this is only my opinion. I think its a very brave step for people to model the Irish scene for production and i wish anyone who does so well but they have to look at Murphys, DK and silverfox to see the standard people ( well me anyway ) has come to expect. Again this is my opinion and i do not wish to offend anyone. Most would expect either a good basic resin shell, to which detail (turned/cast/etched) can be added, or a fully-etched kit that you can solder together. And there are still the gauge options to cater for as well. Realistically, there are too many other better options to spend 400 euro on right now. New MM 071's - new Bell containers - new 20' Flats etc.... The list goes on. There's a lot of competition for good rolling stock out there right now, which is great for the Irish model consumer which is great. I understand you probably feel its worth that because you spent so much time on it. I think its Encouraging to see products and honestly wish you the best, but It's just too much money that people would rather spend on other things right now. That's the truth of it. I do have plans to fit doors and door head rail to break up the flat sides, which should be on the next models constructed. Though the DART is a very flat looking train anyway! I am continually looking for pre-fabricated parts and testing ways to speed up construction so that I can bring down the price, building the train in batches of 10 units may also help- but I have not done this yet! Parts cost is prohibitive. I have also ventured into plastic moulding for bogie sides, air tanks, corridor connectors and the skirt- all will be on the next models. I will have three trains at the October show, please come and take a look at it in the flesh and see does this change anything. I am absolutely chuffed that some of you take this so seriously and compare my first handmade model to some well established model makers using foreign injection moulding, machine painting and mass produced systems. killucan2 - I would like to see your DART if you can send me any photos? I had heard that someone else was working on one. Myself and Mark(killucan2) are in the process of designing an 8100 DART having been requested to do so by a number of people. The only thing to see at this stage is CAD work but we wont be releasing any more info until we have a prototype constructed. That'll be this year hopefully. If you want to produce a model of an Irish prototype for the type of price you are quoting you will have to produce something that would at least match something from Southern Pride, DC Kits, Bratchell Models etc. One of the lads is building a 21mm model of an SSM kit at the moment and judging from what he has done so far in his build your models are at the moment a million miles away from that quality and craftsmanship. That's not in any way meant as an insult. You really need to up your game with this model as at the moment what DK models are producing are millions of miles away in the build and quality of the finished models. One of the lads on the group produced an E Class a few years ago from a Shapeways body and a motor that was designed for the kits wheelbase. Hidden Agenda scratcbuilt a number of fantastic locos for some group members and Anthony painted the finished builds for him. Thats the kind of level of quality and model to prototype fidelity you need to be aiming for. In this day and age it's quality over quantity every time. One thing I should point out is that I'm building from an existing kit, on which a great deal of research and design was done over two decades ago. The game has moved on even from that: hence, upgraded suspension and a few other tweaks. The LHB Dart stock, despite its apparently simple shape, presents a fair degree of challenge. Will you try to produce a ready-to-go model, or break it down into kit form for us to assemble? How will the moulding be done, e.g. 3D printing or traditional expensive injection moulding? Will you cater only for 00/16.5 gauge, or will there be allowance for 21mm people like me? There are costs incurred at every stage. And people do expect to see inside the models, so windows must be transparent, which means getting your frames right, plus a representation of the seats and sliding doors. As you're discovering, the whole thing's not as easy as it looks! Something else to consider is that the DART will have a fairly limited appeal due to its restricted operation over one line. I can't recall seeing too many Irish layouts with overhead wires and/or based on the geographical location or timeframe that the DARTs operate in. I do accept that overhead stock and overhead wires is a bit of a 'chicken and the egg' situation though. Railcars are characterised by their windows as glazing is such a prominent feature. Maybe look instead at freight stock? Since MIR ceased manufacturing there has been a shortage of Irish freight wagons on offer. There are people who are now moving to fill those gaps, but there might be wagons they do not offer which you can have a go at. Whatever you decide to do, best of luck. I agree with you on the point about the loco being an existing kit. It's the finish and quality of the kit parts provided that is most important whether you build it yourself or whether the designer or a professional builds it for you. I have seen finished DC Kits DMU's and Bratchell EMU's painted, motorized, and finished to a very high standard and that is due to the design and quality of the kit parts. The Dart kits from the OP's post are designed and built by himself and it is the quality of the finished kit on the website and it's price that are the issues. Even the underframe boxes are printed and the windscreen wipers. Things are a bit different when you are modelling static buildings or platforms from Scalescenes or the buildings Glenderg has built. Also all of Glenderg's buildings are three dimensional when built even though most of the parts are printed. Darts run in four or eight car sets and on a four car set one car would only need to be motorized similar to the Bachmann BR EMU models with a black beetle motor or something similar, and as myself and Fran have said geographical wise you are limited to one line where overhead catenary is as important as the train. I hope the chap has a rethink and designs something that will have the wow factor to deserve the price tag, and I truly wish him the best of luck with whatever he decides. I will certainly pop over to have a closer look at the models and have a chat at the October MRSI show. Darts run in four or eight car sets and on a four car set one car would only need to be motorized similar to the Bachmann BR EMU models with a black beetle motor or something similar, and as myself and Fran have said geographical wise you are limited to one line where overhead catenary is as important as the train. The LHBs can work in 2,4,6 or 8 car formations. The 8500/10/20 are either 4 or 8 within class or 6 with an 8100. Yes you are perfectly right and I have seen 3 car sets in Killester station. It is more common to see them in 4 car sets and rarely in 2 although I am certain it has happened. You would be resigning yourself to model a set in a particular formation on a particular day. It would be safe to say that most modellers would want to run a 4 car set, and that is what I would imagine a supplier of the models would be hoping for in a business sense. Me too BosKonay, I'll be right behind you in the queue for DKs version. I can't wait for it!! Id say it'll be amazing if his other stuff is anything to go by!! Yep - I'm eagerly awaiting their DD's - I've a few of the DMUs and they are utterley stunning in terms of detail and realism! Your layout and the inspiration for it would be taken to a whole different level if you did Stephen. Spend your spare time building it and if it takes a long time what harm. Most modellers say that when a layout is finished it's time to build a new one, so use it as a lifetime project and always add to it and improve it and you will never tire of it. I seem to remember a model of Bray head many years ago. Anyone know what became of it. There seems three main considerations if you are planning to commercially produce the a rtr model 1. whether the market is big enough and you have the resources to comission a mass produced model like Paddy Murphy, Heljan etc, 2. whether there is enough demand to batch build rtr models in brass or resin like DK or Silver Fox, 3 produce kits of models you personally like to cross subsidise your own personal hobby. Its hard to know whether a DART would fit into category 1 maybe category 2 or 3. Rapid prototyping is often seen as the solution to all problems as apart from the designers time there is little set up or tooling cost. I have seriously looked at batch production kits resin castings using RP technology as opposed to 3D printing and it worked out considerably more expensive than conventional techniques. No doubt RP will become more economic for small runs but that day is some time off. 8100 models we going to have a choice and the market is all about choice. Price comes in to when you decide which one you would rather have for your own collection . Some people the collectors ,funds willing are most lightly buy one of each manufactures models. and others will stick to what they want and from whom, how much they want to pay for the items. Both models are unique in the sense that they are being built-made by two completely different methods one in pre printed plastic a very original way to tackle a model and the other in nice brass . So let the buyer them-seif decide which one that they would rather have. I would love to have a few of each lotto win willing. Thanks to everyone who came to me at the weekend show, I got some great response and of course not so! It was great to discuss the train with people there, some of the difficult ones changed their minds about the train when they saw it in real life and the way it is constructed. Well done, hope it goes well for you and the best of luck with the project!